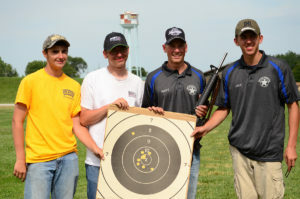 The Civilian Marksmanship Program (CMP) has revamped its 2018 Travel Games schedule, adding even more elite competitive shooting opportunities for participants and establishing its own Classification System. Matches added to the Travel Games include 800 Aggregates and 4-Man Team rifle competitions. In 2018, the CMP will take over the Creedmoor Cup Matches, traditionally fired at the conclusion of the CMP Travel Matches, along with introducing new events to the CMP Oklahoma and New England Games. 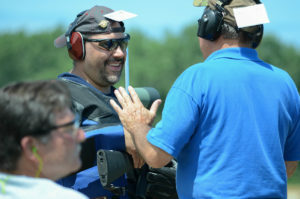 All additional matches will be fired on CMP Targets, a user-friendly electronic target system that instantaneously produces shot placement and eliminates the need for pit duty – allowing quicker matches and less physical strain, absolutely suited for new or experienced competitors of virtually all ages and sizes. 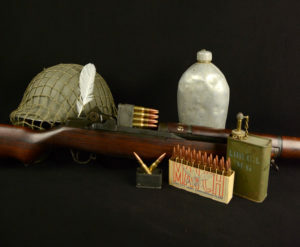 Additional matches at the Travel Games include Excellence In Competition (EIC) events for those aiming to receive the 30 points needed to earn a Distinguished Rifleman Badge. 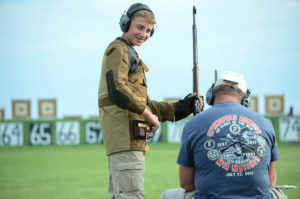 All regular CMP events, such as the Small Arms Firing School, various vintage rifle competitions and pistol matches, will still be included on the Travel Games schedule. The new Travel Games matches will be fired exclusively on CMP’s electronic target system. 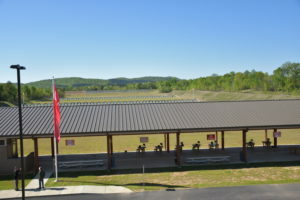 Eastern CMP Cup & CMP Games Matches – The three Creedmoor 80 Shot Matches will now be changed to three 80 Shot CMP Cup Matches (800 Aggregate). A 4-Man Team Match and EIC Rifle Match will still be fired. Western CMP Cup & CMP Games Matches – The three Creedmoor 80 Shot Matches will now be changed to two 100 Shot (1000 Aggregate) Matches. A 4-Man Team Match and EIC Rifle Match will still be fired. 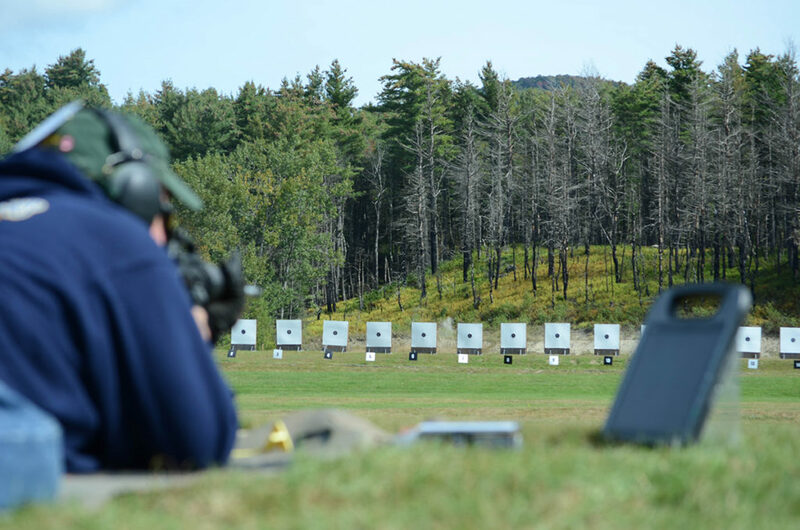 All matches will now follow CMP Highpower Rifle Competition Rules, and all the Individual Service Rifle Matches will count towards the new CMP Classification System. The CMP will recognize and sanction matches for two different types of highpower rifle shooting. Match sponsors will be able to use either National Trophy Event Rules (that will continue to be no-sighter matches with competitors starting rapid-fire in standing) or new CMP Cup Match Rules (that will allow sighters and let competitors start rapid-fire series in position). The National Trophy Event Rules will continue to be used for National Trophy Matches, EIC matches and matches where match sponsors choose to use them. CMP Cup Match Rules will be available for match sponsors that want to conduct 800- and 1000-point events like the Creedmoor Cup Matches. The use of sighters is authorized for all team and individual matches, except for the EIC match. 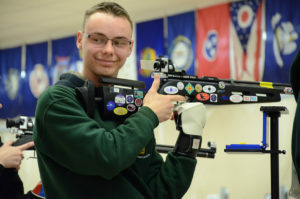 Competitors will remain in position for rapid-fire stages for both team and individual matches, except for the EIC matches or the National Trophy Rifle Matches. 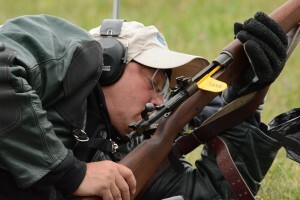 Match Rifles are allowed and will have their own category for awards, and results will count towards classification. CMP rules and NRA rules governing alibis differ greatly. We recommend you familiarize yourself with the new 22nd Edition (current draft) of the CMP Highpower Competition Rules: http://thecmp.org/competitions/cmp-competitions-rulebooks/. All Travel Games schedules have been rearranged to accommodate the latest additions. More information and new schedules are posted online: http://thecmp.org/competitions/cmp-travel-games/. Participants at the Travel Games events also get a first-hand look at CMP Targets – an electronic target system, powered by Kongsberg Target Systems, that displays immediate shot scores on a monitor beside each competitor. The use of the targets eliminates the need for pit duty, creating faster match completions and easing the physical wear for competitors. I was a huge supporter of CMP matches in recent years. I have fired travel games in several locations and at Camp Perry. 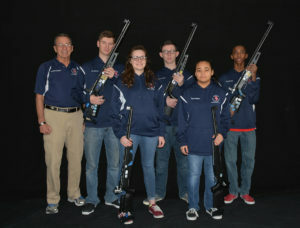 I've been a rifle competitor since the late 1960's. Now, I am very concerned that the CMP has made a wrong turn into trying to be all things to all people. 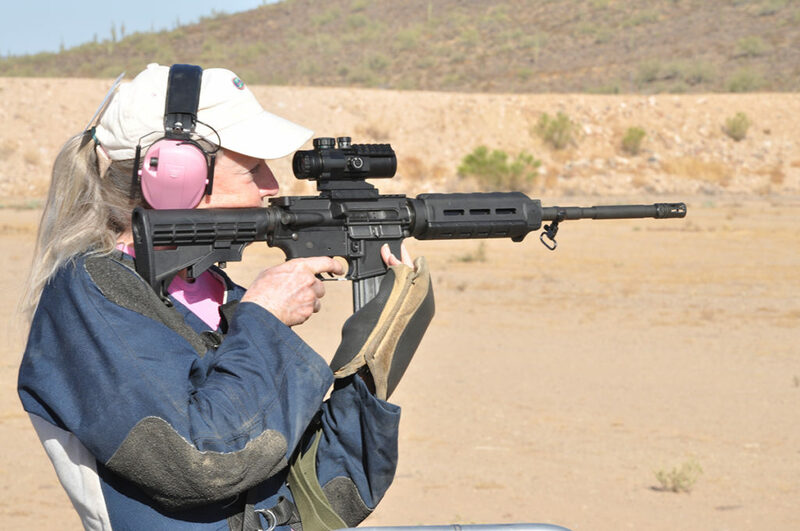 The explosion of new match rules will turn new and old shooters away from the enjoyment of service rifle shooting. The NRA did that to the point that I stopped shooting NRA matches. As a range officer many years ago I actually had to physically break up a shoving match between two competitors on the firing line over a rules dipute. Never again! If I have to carry two CMP rule books in my shooting stool I have to seriously ask what have I gotten myself into (again) And as far as establishing a classification system, all that does is create an elete top tier of "I'm better than you" High Master shooters. Been through that and don't want any part of it again. Too bad we let the sport head that complex direction. Jeff, CMP is trying to bring more competitors into the sport. By allowing scopes, many competitors that may have quit the sport are now coming back to compete again. Many competitors requested CMP start their own classification system. Yes, we are growing rapidly and bringing new matches and programs to the sport along with our CMP Targets which allow even more participants in our matches. By allowing scopes to compete directly with irons, you've definitely encouraged some of us to spend our time, money, and precious vacation doing other things. 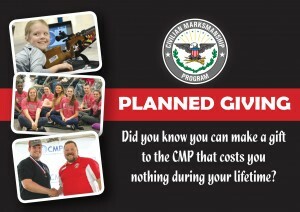 Not that CMP cares what the customer base thinks, going by typical email replies from CMP staff and Johnson. Irons and optics should have been separate categories. Thank you for your feedback. I will forward onto our CMP Rules Committee. I am one of the "many CMP competitors" who had long complained and complained openly about the lack of being classified per marksmanship ability. I got chastised by many "trophy and medal hunting" shooters for calling for CMP to develop its own classification system. I don't care about getting awarded medals, plaques, trophies, "being a champion," public recognition, if I shoot well (or poorly). The lack of being formally classified into marksman, sharpshooter and expert demotivated me severely to bother to participate much. This new classification system gives me motivation to participate again and to actually practice hard, because being classified is a form of feedback that lets ME know how good I can shoot TODAY. I never liked the idea I had to shoot in two organizations, CMP and NRA, each with its own rulebook, to be serious about rifle marksmanship. Shooters who are motivated primarily by the prospect of being awarded trophies, medals, a lot of public recognition, money and other physical awards is what sport psychologists call "extrinsic motivation." One thing I wish the CMP would follow this classification system with, is switching all rifle centerfire targets over to combat silhouette type targets, instead of round bullseye targets. That would be in keeping with the CMP being the civilian "service rifle" competition organization. And if the CMP sold those kinds of targets on its restore, that would be even better. How do we find out about our CMP classification? 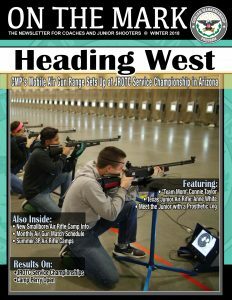 You will find additional information in the 2018 Rules - http://thecmp.org/wp-content/uploads/2018HighpowerRifleandPistolRules.pdf?ver=101317. See Page 27. Christine, will CMP Classification cards be issued like our NRA Classifications? That's a good question. I'll check with our competitions department. Keith, We are working on the CMP Classification cards and certificates. Both will be options to download from your Competition Tracker file. We hope to get this implemented in the next two months. What is the format of the CMP Cup 100 Shot Match? Visit our website to view the 2018 Rules Draft - http://thecmp.org/wp-content/uploads/2018HighpowerRifleandPistolRules.pdf?ver=101317. See page 61 for the course of fire. 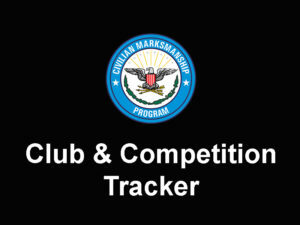 If you log into your file in Competition Tracker, you will find your classification information. Also, see pages 27-28 in the Highpower Rifle Rules.